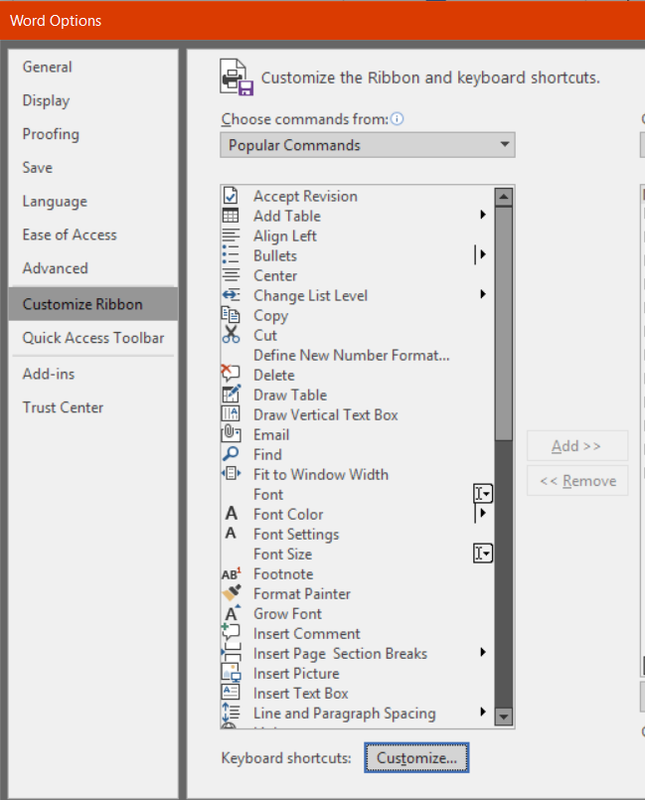 Nearly a year ago, I explained some secrets of Microsoft Word’s Ribbon interface (see Lyonizing Word: Secrets of the Ribbon), including two-part buttons like the one that activates FileCleaner in Editor’s ToolKit Plus 2014. 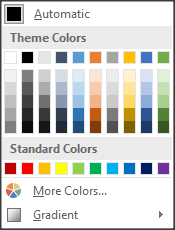 Click the part with the arrow, and you’ll have access to various paste options. Pretty neat! So what other buttons have two parts? Here is the complete list, along with the default options you’ll see if you click each button’s arrow (as opposed to its icon). Please note that what you’ll see may vary depending on what’s going on in Word. 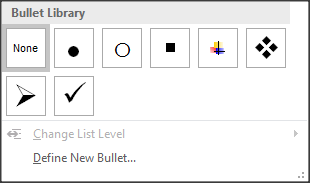 Here, you can select items en masse and undo them. Is that useful? Maybe sometimes. 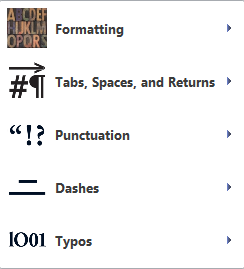 One thing you can say about Microsoft Word: It’s not lacking in features. If anything, it has more features than most people will ever use (see Lyonizing Word: The Right Tool for the Job). I hope this article will help you find some useful features that you may not currently be aware of. 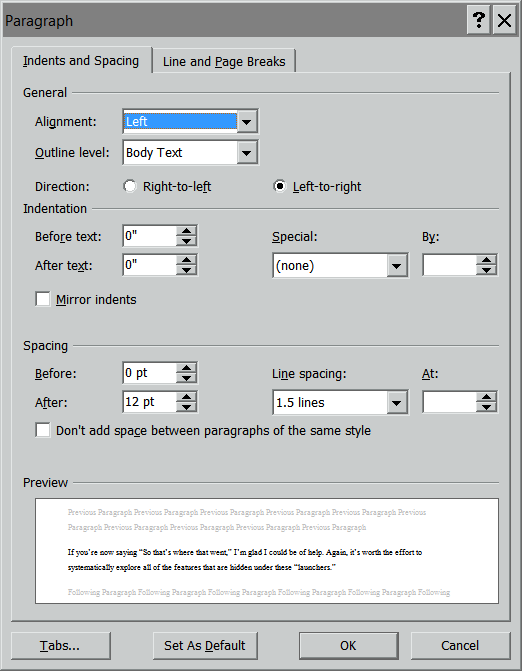 Most users of Microsoft Word format text by selecting a paragraph and then applying a font. 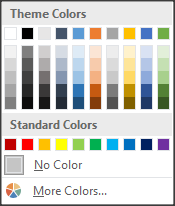 More advanced users apply a style. Why? Because then if they need to change the formatting of, say, level-2 headings, they can simply modify the style rather than tediously selecting each heading and applying a different font. (If you’re reading this, you’re probably one of those advanced users.) 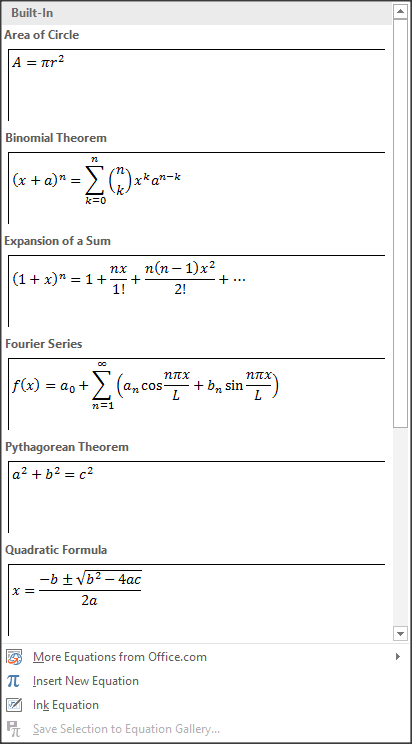 But there is a way to handle formatting that is even more powerful. That line dimensions (defines) a variable, aStyle, as a style. (As with all variables, I just made up the name “aStyle.”) At one point as the macro runs, aStyle might represent the style Heading 1. At another point it might represent Heading 3. But it will always represent a style. Here’s where things get interesting. That line tells the macro to cycle through each style (represented by aStyle) in all of the styles in the active document (the document in which your cursor is currently sitting). That line tells Word to set the font for the style currently being represented by aStyle to be Adobe Garamond. 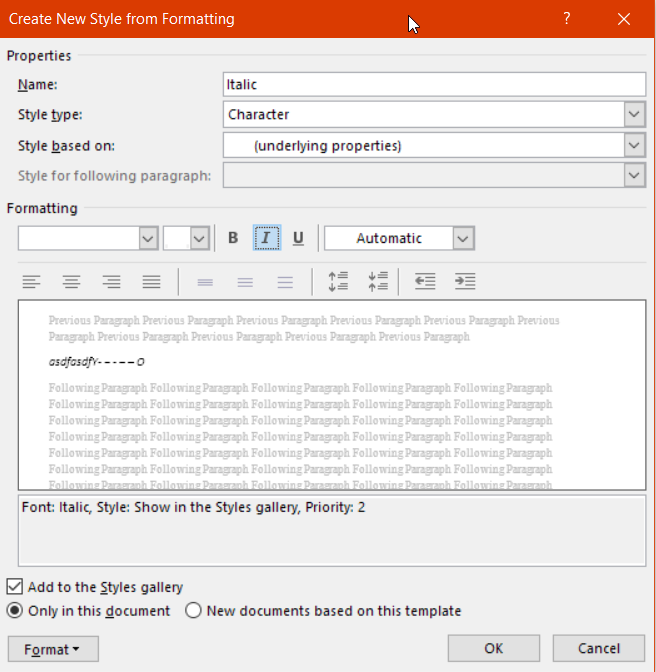 That line tells Word to go to the next style in the document. When you run the macro, it will cycle through each style in the document (For Each…Next) and set Adobe Garamond as the font used in that style. The line uses a macro command we haven’t seen before, InStr, which checks to see if a specific string of text is used somewhere. In this case, it checks to see if the text “Heading” appears in the name (NameLocal) of the style currently represented by aStyle. If it does, then the name of the font used in that style is set to Adobe Garamond. 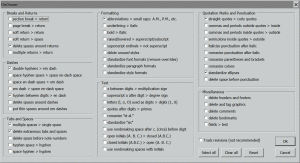 Much more can be done to automate the formatting of text using macros. I hope this brief article will get you started. Place your cursor at the beginning of the document. Here’s how the macro works. “aTable” is an arbitrary name; I just made it up. But that whole line tells Word that aTable will represent a table in our document. The other “Dim” statements follow suit, with “aCell” representing a table cell, “aRow” representing a table row, and so on. Dimensioning the “Tracking” variable as Boolean tells Word that the variable will be either true or false; those are the only two values it can hold. Next, we set “Tracking” to the value of ActiveDocument.TrackRevisions. If revision tracking is on, “Tracking” will be set to “True.” If revision tracking is off, “Tracking” will be set to “False.” We do that to remember the current setting for revision tracking, because the next line, “ActiveDocument.TrackRevisions = False” actually turns revision tracking off (we’ll reset it later). This is necessary because (1) tracking the deletion of those extraneous spaces isn’t needed, and (2) using revision tracking may send this macro into an endless loop as it keeps “finding” the character that it just deleted (but is still there as a tracked revision). — needs to be there in case a table includes “merged” cells, which will cause an error when the macro runs. If that happens, the macro will skip to the next line, which means that tables with “merged” cells will be ignored. There may be a better way to deal with such tables, but I don’t know what it is. 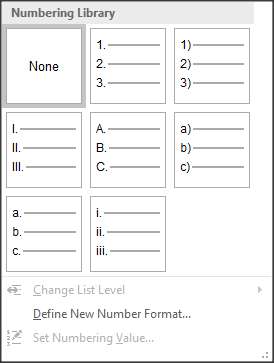 This tells Word to work on “Each” table in ActiveDocument.Tables. “What’s that?” you ask. Well, obviously “ActiveDocument” is the active document — the document that’s open in Word with our cursor moving around in it. (Other documents may be open but not active.) In the active document, there’s a collection of objects called “Tables” — which are, of course, the tables in the document. — tells Word to work on each cell in the current row. That looks a little complicated, but it’s actually fairly simple. Let’s say our text string is “Hi, Mom!” The “1” tells the Right command at which character to start counting (from the right of the string). In other words, LastChar is assigned the last character of the string, which in this case is an exclamation mark (“Hi, Mom!”). And the operation is repeated on the cell until no more spaces remain at the end of the cell. All of the “Next” commands that follow repeat the whole operation for every cell in every row in every table of the active document. Powerful stuff! As they taught us in kindergarten, it’s good to clean up after yourself. This article is a brief introduction to manipulating Word “objects” with macros. Future articles may explore more of those objects, along with their “properties” and “methods.” If that’s more than you want to know, you may still find the macros themselves to be useful. Recall that Part I (The Professional Editor: Working Effectively Online I — The Books) of this series called for professional editors to master the tools of their trade, particularly Microsoft Word if they edit using Word. There are good reasons to do so. A few weeks ago, I was working on a book chapter that ran 453 manuscript pages, 49 pages of which were reference citations. (Yes, the number is correct; one chapter in this project I am editing ran 453 manuscript pages. Most of the chapters run 30 to 50 manuscript pages, but several are 200+-page chapters.) The project was for a client who uses a custom template and part of my job is to apply the template to the manuscript, styling every paragraph plus applying particular styles to items that need special styling in addition to the basic paragraph style, such as applying a special “overstyle” to a word that should be in a san serif typeface. I used the macros I had written (and mentioned in The Professional Editor: Working Effectively Online II — The Macros) to style the heads and then I had to manually style the text paragraphs as I couldn’t decipher a pattern that I could capture in a macro. It took a while to get the whole document styled and ready for editing (I like to do the master styling before I edit because that lets me determine, as I read the material, whether something needs to be styled differently), but I did finish — and because of the macros, I finished in much less time — and was prepared to begin editing. It would have been an easy enough fix to just accept all changes in the document, except that I had already run my Never Spell Word and Journals macros and I did not want those changes accepted — I hadn’t edited the chapter yet and so I hadn’t approved the changes the macros made. Here is where having some mastery of Word helps. 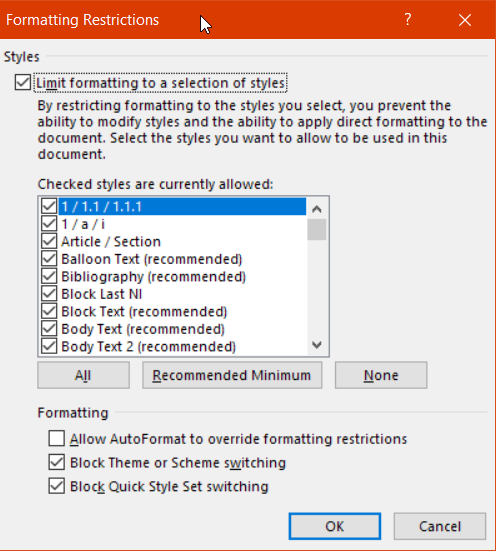 What I needed was to have Word accept just the formatting changes and retain everything else. Because I have made an effort to learn something new about Word regularly, I knew how to solve my problem. 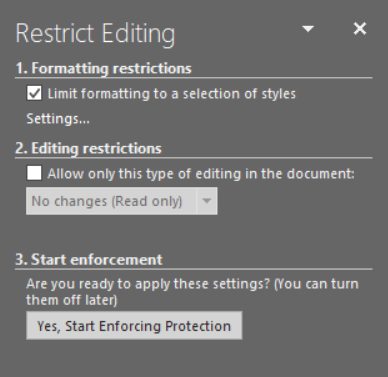 The following steps are what I did in Word 2010 (I know this will work in Word 2007 and there should be a similar method in Word 2003 and in Mac versions of Word, but you will have to do your own exploring in those versions). I switched to the Review Tab and clicked on the tiny down arrowhead in Show Markup. I deselected everything but Formatting. I clicked on the tiny arrow in Accept and then clicked Accept all changes shown. 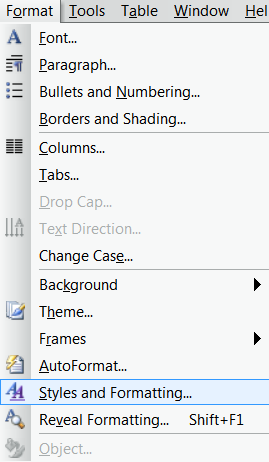 I returned to the Show Markup dropdown and reselected everything I had deselected. With this simple four-step process, I was able to solve my problem — only the formatting changes were accepted; all the rest of the changes that I had made using my macros remained for me to accept or reject. This doesn’t seem like a big deal at first glance, but it was to me. If I couldn’t find a way to accept just the formatting changes, my choices would have been to (a) live with the annoyance (and I really do find it annoying) or (b) start over with the chapter and eat the time I had already spent styling this massive chapter (I charge a per-page rate, not an hourly rate, so I would have had to eat the time regardless, but even had I been charging an hourly rate I wouldn’t have charged the client — the fault was mine and it was for my convenience). Neither option was particularly welcome. Perhaps you would have chosen to just live with the balloons. That’s okay as long as you know that there was an option to fix the problem quickly and easily. That is the essence of my clarion call to master the tools we use: knowing what our options are and not having a decision thrust upon us simply because we don’t know enough about how our tools work. Would you hire a carpenter who owned and used only a single saw blade because the carpenter didn’t know that different saw blades are used for different purposes and give different types of cuts? We expect those we hire to perform services for us — whether they be a carpenter, a doctor, an auto mechanic, or some other tradesperson or professional — to have mastery of the tools of their profession so that they can give us knowledgeable advice. Shouldn’t we similarly be masters of the tools of our own profession? I discussed the value of learning to write macros in The Professional Editor: Working Effectively Online II — The Macros. Absent mastery of Word, absent knowing what functions Word can perform and can’t perform, how can we learn to write macros to ease performance of those functions? A macro is merely a method to accomplish a task more quickly, efficiently, and uniformly; it is not a method to perform a function that otherwise cannot be done. 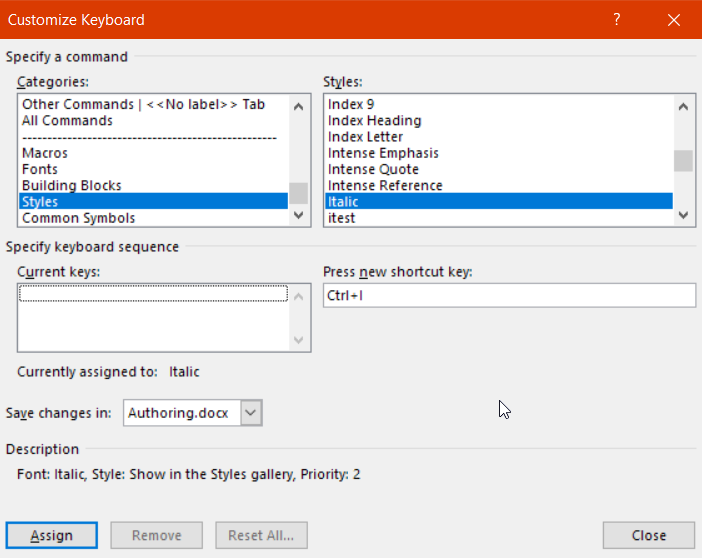 Macros call upon the same commands that you do when using Word. 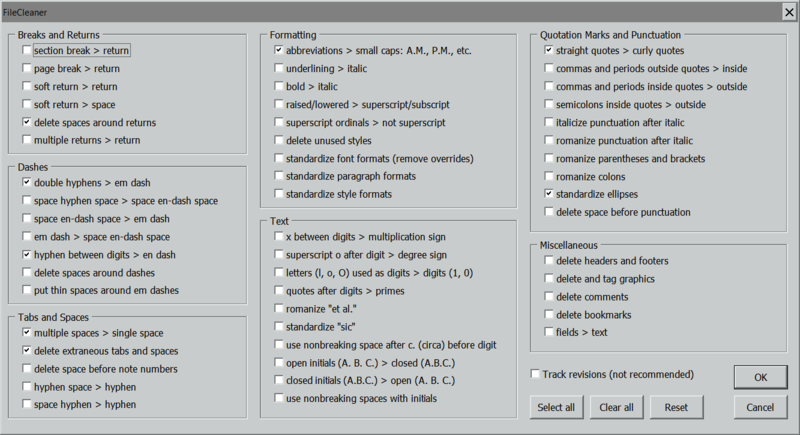 Consequently, mastering Word, which is, for many editors, a fundamental tool, is a step toward conquering macros. Neither mastery of Word nor creation of macros lives in isolation of the other. They are interdependent and should provide an impetus for editors to master the tools they use.